Railpictures.ca - Luke Bellefleur Photo: While CN 514 gets ready to back some cars into the track at Agris, CN 439 races by bound for Windsor. | Railpictures.ca – Canadian Railway Photography – photographie ferroviaire Canadienne. 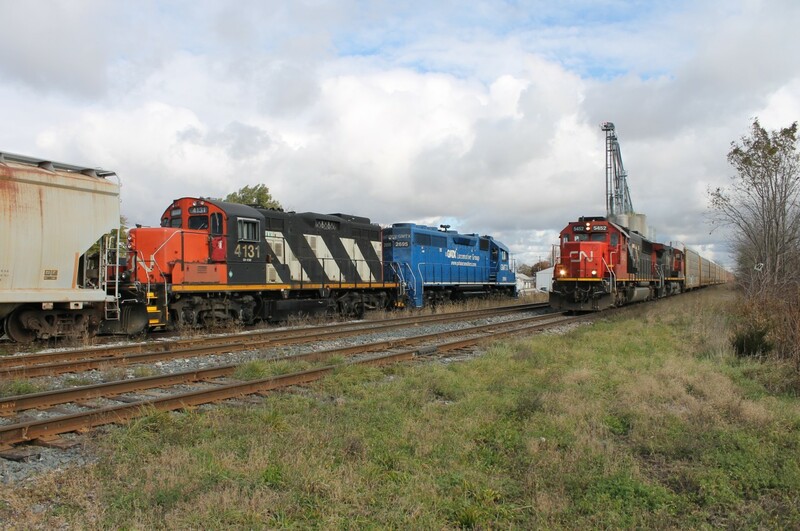 Caption: While CN 514 gets ready to back some cars into the track at Agris, CN 439 races by bound for Windsor.